Muppet Show fans, the wait is over. While most television shows come out on DVD at a steady clip, two years passed between the DVD releases of the show’s first and second seasons. Fans will be happy with the quality of the new four-disc set. While the special features are disappointingly sparse, the entertainment value of the show more than makes up for this. Despite the occasional dated jokes and references, the 30-year-old show still feels vibrant and funny. The humans behind the puppet variety show seem to have hit their stride in season two. Some of the more verbally-oriented gags, such as the 10-second bits with houses telling each bad jokes, are gone. The visual creativity has been bumped up a notch. (Fans of bad jokes can still get plenty in the Veterinarian’s Hospital and At the Dance sketches.) One sketch with no dialogue starts with a bird chirping in its cage. Other birds from the outside add their own voices. Finally, a giant bird stomps into the room, frees the little bird and stuffs its befuddled owner into the cage. The characters are also better established. In season one, Miss Piggy started out as more of a background character, and her voice varied depending on which puppeteer was operating her. In season two, she comes fully into her own as a diva (memorably voiced by Frank Oz) who’s willing to inflict violence on anyone who has anything bad to say about her or her “Kermie.” Kermit the Frog is the ultimate straight man, fighting a losing battle against the anarchy around him. The guest stars are a cross-section of 1970s luminaries. Steve Martin plays the banjo and puts and arrow through his head; Rudolph Nuryev dances to “Swine Lake”; Elton John fits right in with the gaudy puppets. The show also reaches back to its vaudeville roots with Milton Berle, Bob Hope and Edgar Bergen. And yes, Gonzo Fiddles while George Burns. It may seem dated for kids today, but 30 years ago, I enjoyed the shows just fine without knowing who most of the humans were. It is worth mentioning that some songs were cut from episodes on the season one DVD set due music licensing issues. A little research on muppetcentral.com seems to confirm that the all of the episodes for this release seem to be uncut. For a show with such a rich history, the bonus features on this DVD set are sparse. The most amusing is The Muppets on the Muppets, which is 12 minutes of interview segments with the characters. It opens up yet another chapter in the tortured history between Miss Piggy and Kermit. Also on the disc is a music video with Weezer and The Electric Mayhem. 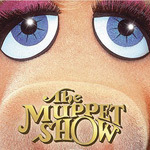 Of interest to longtime fans is The Muppet Valentine Special, a 30-minute television special from 1974. The show consists of sketches about aspects of love. Kermit is a supporting character here, though his sketches are the best, especially his narration of the mating rituals of the inhabitants of the planet Koozbane. The producers of the show don’t seem to quite know what to do with the human guest star, Mia Farrow. She’s a little too earnest in the middle of the puppets’ wacky antics. The DVD box boasts that the episodes have been digitally remastered and restored. The picture quality is excellent; the sound is good, though unremarkable. The show is presented in its original 1.33:1 aspect ratio, while the menu pages are encoded anamorphically. On a regular 4x3 television screen, the width of the images adjusts automatically. On my widescreen television, I had to manually adjust the aspect ratio between the menus and the episodes. Because the main menu pages on each disc include little segments with some of the characters, you might actually want to see them in their full widescreen glory. After watching the routines on the menu pages, select “play all” and enjoy the episodes at your leisure. When you get to disc four, check out the bonus features; none of them take too long.